In Celebration of F13th...Thoughts on "Unmasked" & "The Killer and I"
He's the man who is condered by many the one to actually bring life &amp; character to everyone's favorite hockey masked, machete wielding maniac. Having been the man behind the mask for 4 of the "Friday the 13th" movies, there is more to the life of Kane Hodder than one probably realizes. There's something about the man that has horror fans, myself included, going back to this table to get memorabilia gned. This past March, my quest was a little different. 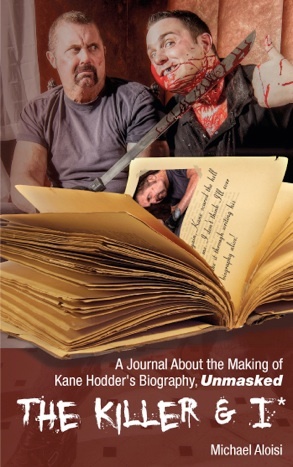 Rather than getting a machete or a hockey mask or an 8x10 gned, my goal was to pick up copies of "The Killer and I" &amp; "Unmasked"; the journal covering the creation of Kane's biography &amp; the story of his life itself. 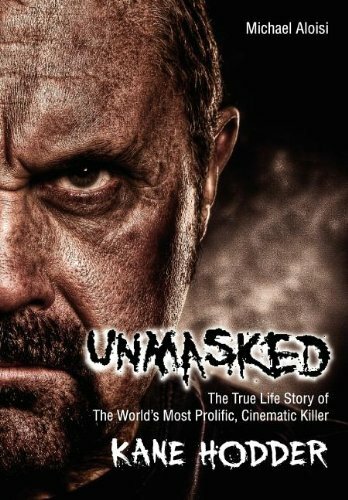 Before jumping into "Unmasked", I remembered what Kane told me at his table at MonsterMania. "This isn't your normal biography. You will laugh. And you may even cry." The story of Kane's early years blew me away. Never did I expect the man who would become Jason Voorhees to be the victim of bullying. One of the biggest badasses in all of horror...picked on as a child. It's pretty powerful stuff given the increased problem of bullying among kids now. Hodder also discusses his time living on a small island in his youth, how he got into stunts, landing/long the role of Jason Voorhees, the birth of Victor Crowley, and much more. But perhaps the most horrific stories in the book are that of how he sustained 3rd degree burns over 50% of his body &amp; the literal Hell it took to recover phycally and mentally from a life threatening tuation. Sure enough, there is plenty in the book that will make you laugh and there are points where you will get choked up after reading what this man has endured. Both books are great reads and you will definitely gain a new level of respect for Kane Hodder after you see him unmasked.